Santa Cruz Symphony Maestro Daniel Stewart came on the radio to talk about his second season as the music director and conductor. He began as a violist. Trevor Tarin of Subverse Industries on KZSC’s Artists on Art to talk about his art of hat-making and leather accessories. Nada Miljković, host of the radio show, Artists on Art, speaks at Non-Starving Artists Showcase by Event Santa Cruz that happened January 29th, 2015 at Design by Cosmic. 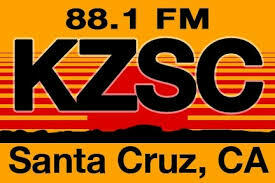 Musician and Board Member of the Santa Cruz Baroque Festival, Robin Whitehouse, came on to Artist on Art February 18, 2015 to talk about their 2015 season.